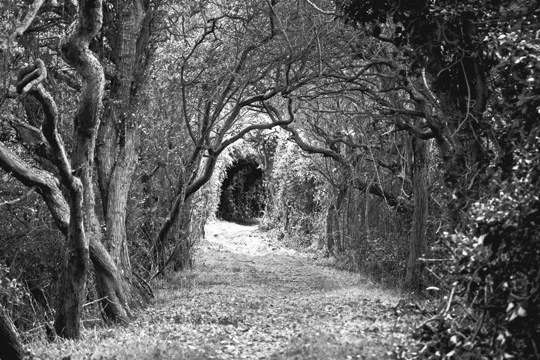 This entry was posted in photography, travel and tagged black and white, Cocteau, film, inspiration, La Belle et la Bête, Pagham, photography, travel, trees, West Sussex by Rachael. Bookmark the permalink. Oh, I can’t wait to see them! Fabulous shot, so atmospheric. I haven’t taken any directly inspired by a film yet but when I’m watching one with especially good cinematography I often think ‘oh I’d like to try that’. Tim Burton’s ‘Sleep Hollow’ springs to mind with all those washed out colours. Thanks! Sleepy Hollow has a very distinct aesthetic. Definitely full of potential. It would help if I could type properly… that should of course read ‘Sleepy Hollow’! And just thought – I could of course be subconsciously influenced by films when I’m after a certain look or feel to an image. Much of your photography strikes me as quite ‘filmic’, Barbara, so maybe that’s true. Can’t think of any specific movies, but in my modest way I like to exploit any cinematic elements in the scene. I often see, or imagine I see dramatic tension between objects and their surroundings. I find myself thinking, “What just happened?” or “What is about to happen?” Pathways, doors and gates, ladders and solitary bicycles are favourites of mine for this reason. And for some reason I find a broomstick leaning against a wall to brim with possibilities. Ha! No, you don’t need help. Broomsticks are incredibly redolent with cultural and aesthetic nuances. Think witches, Harry Potter, wizards, Fantasia, Cinderella, Snow White… The list is endless! I like solitary things too. With lots of space, for the imagination to take flight. The brooms you see everywhere over here and in Japan are very photogenic – positively medieval.